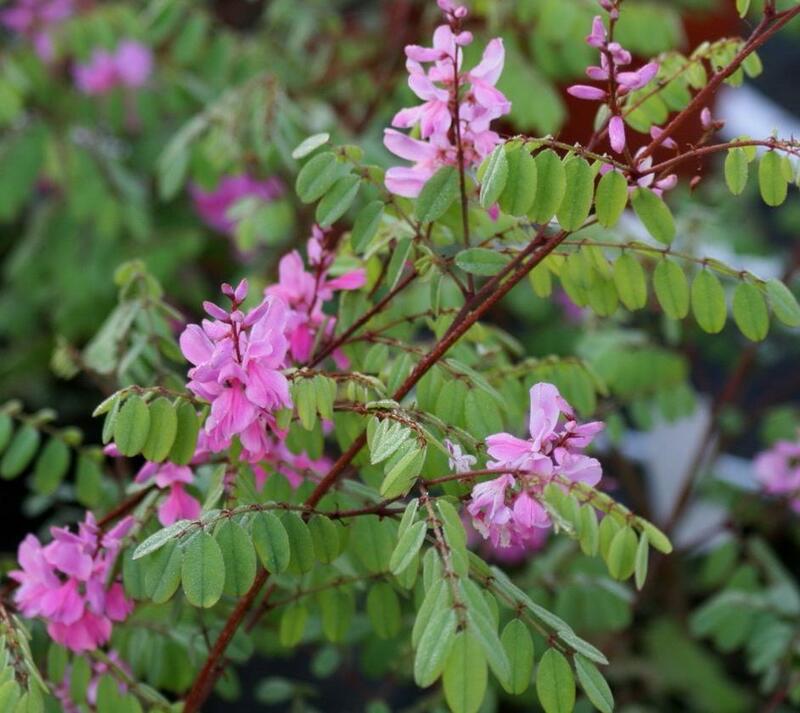 Indigofera himalayensis ‘Silk Road’ is a beautiful medium sized hardy shrub producing short spikes of silky purple-pink flowers in early summer, but sporadically also throughout most of the growing season. A bush of arching habit with dainty pinnate pale green leaves. 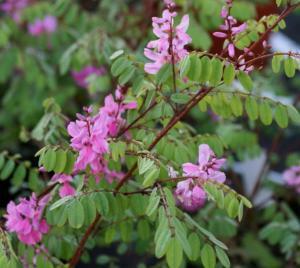 Grows best in full sun and on a well drained soil in a sheltered position, where it tolerates poor dry soil also. It can be trained to good effect as a wall shrub. Introduced by the Hillier Nurseries in 2006.This species was formerly known as I. dielsiana which I remember well from my days on the nursery.